Welcome to Diamond Hill Brittanys! We hope your enjoy our site. Please feel free to contact us at lpodraza@aol.com or phone us at 908-963-7994. 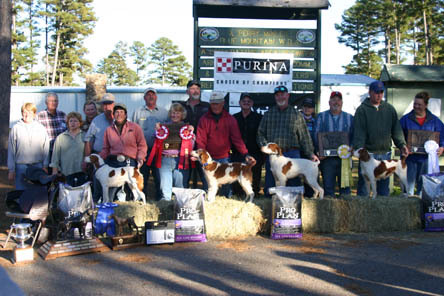 Diamond Hill Brittanys was started in 2005 when successful Amateur handlers Paul Pollock and Lisa Podraza consolidated their kennels, knowledge and lives. They quickly went from four or five dogs each, to 17 Brittanys between them. Paul’s dog “Dan” quickly became the cornerstone of their breeding program. Paul began trialing in the early 90’s with his first two Brittanys, Lady Maxeen’s Maxie Minx, and FC/AFC Marjo’s Dark Rum Ruffian. “Max” and “Artie” taught Paul a lot about field trialing. 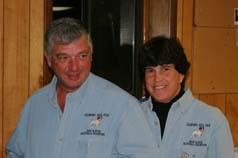 In 2003, Paul purchased Diamond Hill Dan from Lowell and Linda Starner and hooked up with professional trainer John Kline. Paul, with John’s help, campaigned “Dan” to 15 American Field Championships and his second American Brittany Club National Championship. 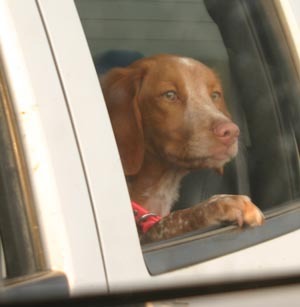 Lisa began field trialing in 2000, shortly after the purchase of her first Brittany, Deuce is on the Loose. Lisa’s background in dogs began in the early 80’s. Working for a local foxhunting club for almost 20 years, she gained experience with hunting dogs and horses. Lisa finished Deuce’s field championship when he was 3 years old. 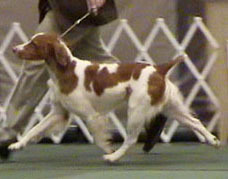 Doug Tighe of Hope’s Kennels helped to finish Deuce in the show ring, making him a dual champion. 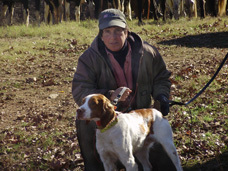 Paul and Lisa began training together, and after early retirement from both their jobs, they now travel the mid-west Brittany field trial circuit in the fall, and the east, southeast circuit in the spring. Their home base is Medford, New Jersey. In 2010, Paul launched a new company, DHR Management. While Paul built the new company, Lisa continued to train and compete the dogs. As the company grew, Paul was able to find more time to get back to training and trialing. The eventual goal is to retire and travel together full time again!